Matt Maguire checks out the top of the range headset offering from Astro – can it possibly be worth that insane price tag? 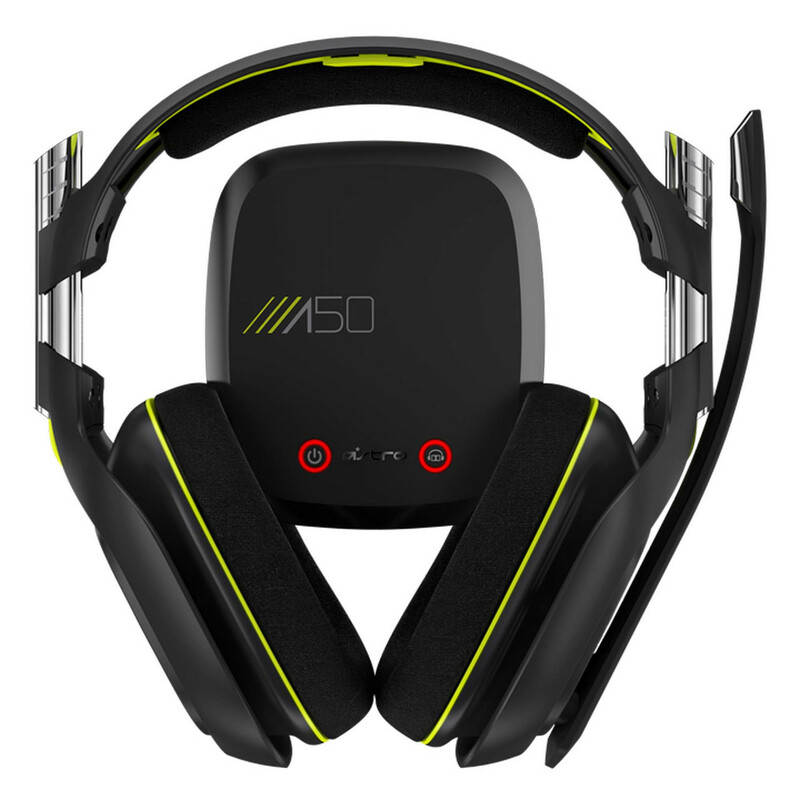 Astro is synonymous with quality gaming headsets at this point, so it’s no surprise that its flagship wireless model, the A50, is one of the best if not the best on the market. It’s so good, in fact, that even those who balk at spending roughly half the cost of a new-gen console on headphones may be tempted to reach for their bank cards. 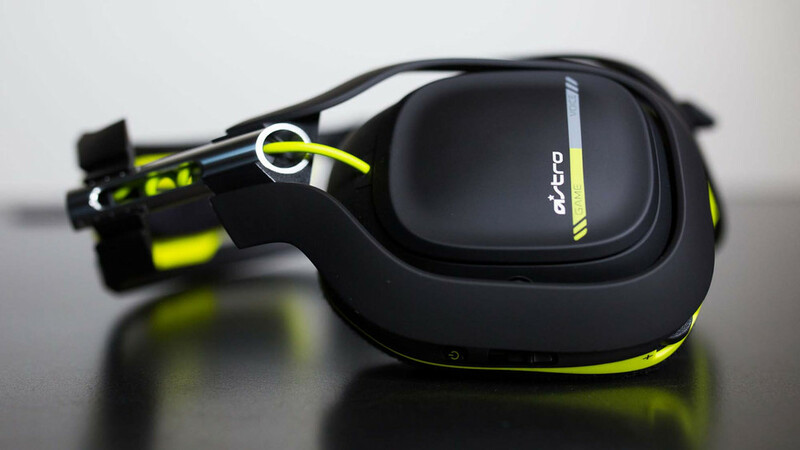 However, they should only do so knowing the few minor flaws that keep the A50 from being a perfect audio solution. 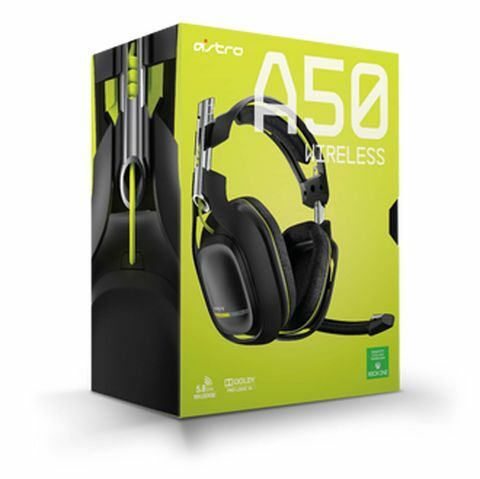 Before we get into it, one note: the headset we tested was the Xbox One Edition A50, which according to Astro is “built for Xbox One”. It's also compatible with PlayStation 4, Xbox 360, PlayStation 3, and PC, though — the only differences we could see between the Xbox One Edition and the default Astro Edition were colour options, the inclusion of an Xbox One chat cable/adapter in the box, and, according to patch notes, the transmitter firmware update here optimises the mic output for Xbox One. As you’d expect from a pair of NZ$400+ headphones, the build quality of the A50 headset is impeccable. Nothing here feels cheap and nor should it. The headset is solid but very flexible when it comes to fit, and it's the most comfortable that I (a large-headed man) have ever worn. Even wearing large glasses under them is fine, and doesn’t become uncomfortable until I'm several hours into a gaming session. 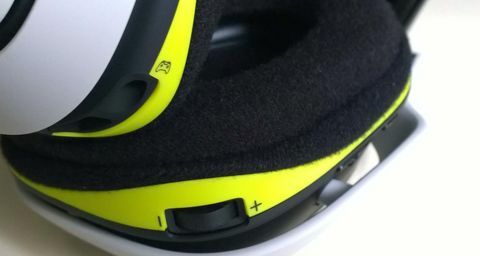 Over-the-ear foam cups and a soft foam headband inner that don’t trap heat the way faux leather offerings can are the key here – the headset adjusts firmly and without complaint, and stays exactly where you want it to. This helps enclose your ears completely to put them at the mercy of the drivers, which maximises low-end and minimises how much of your own voice bleeds through the cups. A master volume wheel is easily accessible on the right cup, and a large switch cleverly built into that same side provides a balance switch to change the game/voice mix. It's very quick and easy to change it on-the-fly mid-game. On the other side are a micro-USB charge port and an Xbox One chat cable port. The Xbox One Edition is black with yellowish-green trim design is fairly understated (for gaming peripheral at least), and the branding is unobtrusive. There are also white/green and Halo-themed variants available, and I’d happily wear any of them on the street if I had reason to do so. And here we strike the first admittedly very minor problem with the A50 – although optical in and out and USB on the transmitter mean it will happily play with next-gen consoles and PC, there is no Bluetooth support, so mobile devices are only usable with the 3.5mm analogue AUX input. This is easy to overlook as the A50 was built for console and PC gaming, and sound quality-wise on those devices, it is flawless. It runs a fantastic Dolby 7.1 surround engine, which paired with the top-notch hardware provides fantastic responses across all frequencies. Three EQ presets are selectable with a switch on the headset, too: a media setting for movies and music that provides extra bass, a ‘core’ mode that’s balanced and excellent for most games, and a ‘pro’ mode for first-person shooters that boosts high frequencies. All are well-tuned for their purpose. The uni-directional mic is also of a high quality, providing crisp, distortion-free speech that’s easily good enough to record for a podcast, for example. The mic is muted by flipping it up away from your mouth, which is nice. The wireless range on the A50 is a good 10 metres or so, and five hours of charging will usually net you about eight to ten hours of playback, although this figure can be lower depending on your volume and usage. The SteelSeries H Wireless neatly solved this problem by charging one battery while you use a second – something I’d love to see implemented on all wireless devices including this one. One very minor but baffling thing: the USB to micro-USB charge cable is only half a metre long, so replacing that is a necessity if you want to charge and play simultaneously. A cable problem of a different kind is probably the A50's biggest flaw, though it's still a minor grievance. Simply put, its Xbox One chat cable is garbage. It’s not quite long enough for you to put down the controller and move around a little bit, and it’s also very hard to remove from the controller once you’re done – it feels like it’s going to break. The Turtle Beach Stealth 500x solved this by doing away with a chat cable altogether and it’s a cheaper headset too, but to be fair it isn’t even in the same league as the A50 when it comes to sound and build quality. Even so, no cables is better than one cable. Despite these teensy niggles, the A50 headset is hard to fault. It has power, clarity, comfort, and flexibility. The asking price will have some write it off immediately, but those who try them will be converted. They aren’t for those who occasionally jump on Xbox Live, but if you do a lot of headset gaming, investing in a pair of cans of this calibre is an easy expense to justify. And for those that do take the plunge, it's impossible to imagine anyone being even slightly disappointed with their purchase.